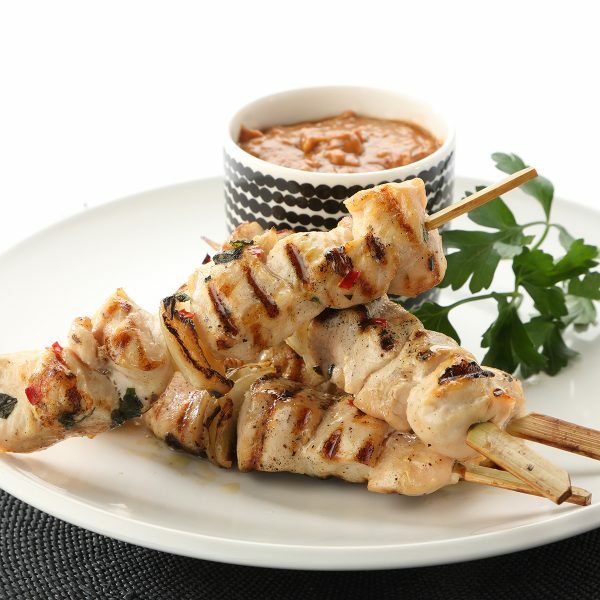 Chicken skewers with peanut dipping sauce (main course) - home cooked food delivered. Tender bites of chicken breast with slivers of fresh red chilli, with a delicious peanut or “satay” dipping sauce for you to dunk away to your heart’s content. Just fire up the grill and prepare yourself for an amazing taste of Indonesia. Chicken fillets, red chillis, flat leaf parsley, olive oil, garlic, tomato puree, caster sugar, peanut butter (PEANUTS). Remove contents from packaging. Either char grill or oven bake on high for about 6 mins on either side. Ensure the product is cooked through and piping hot before serving. Serve the dipping sauce on the side.